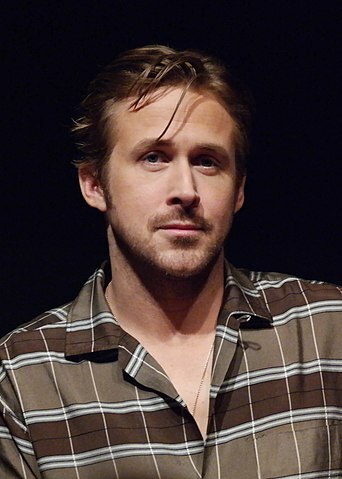 Ryan Gosling was born in London, Ontario, Canada, on November 12, 1980, is an Canadian actor. Young Ryan Gosling began his acting career as a child actor in the Disney Channel's Mickey Mouse Club (1993–1995), at age of 12. He made his big screen debut in comedy fantasy film Frankenstein and Me (1996) in role as Kenny. Gosling's breakthrough role came as Noah Calhoun in romantic drama movie The Notebook (2004) with Rachel McAdams. He was nominated for the Academy Award for Best Actor for his performance as Dan Dunne in drama film Half Nelson (2006). He received a nomination for the Academy Award for Best Actor for his role as Sebastian Wilder in romantic musical film La La Land (2016) opposite Emma Stone. He dated Sandra Bullock (2002-2003) and Rachel McAdams (2005-2008). Gosling began dating actress Eva Mendes in 2011, they have two daughters. He is an accomplished jazz guitarist. He is a part of the band, Dead Man’s Bones. He owns Tagine, a Moroccan restaurant in Beverly Hills, California. He is a supporter of PETA. If people want to put me up on their walls, I'll love it. I'm waiting to get old - I think old guys with tattoos look good. I don't even think of myself as particularly good looking, and not at all a typical kind of Hollywood leading man sort of actor. Acting isn't that hard, really. I mean, I think that people make a big deal about it, but you just kind of try to say your lines naturally. If I have any particular appeal to women, maybe it's because I listen more than other guys do and appreciate how they think and feel about things. I grew up Mormon. I wasn't really Mormon, my parents were. There's a lot of pressure to be the lead of a film. I have done it. It's not my favorite way to work.